My blogging time has been limited lately, and with my job December and January are complete write off's. However, here I am, back in 2017 with blogging goals that I'll undoubtedly fail at but for now, here's some food! I've been meaning to write about this place after each meal, and I've never gotten around to it. I dined here a couple of times in 2016 so this post will be a bit of a mish mash of all my visits! Bistro 8 used to be a pub, and has now been converted into a bar & restaurant. 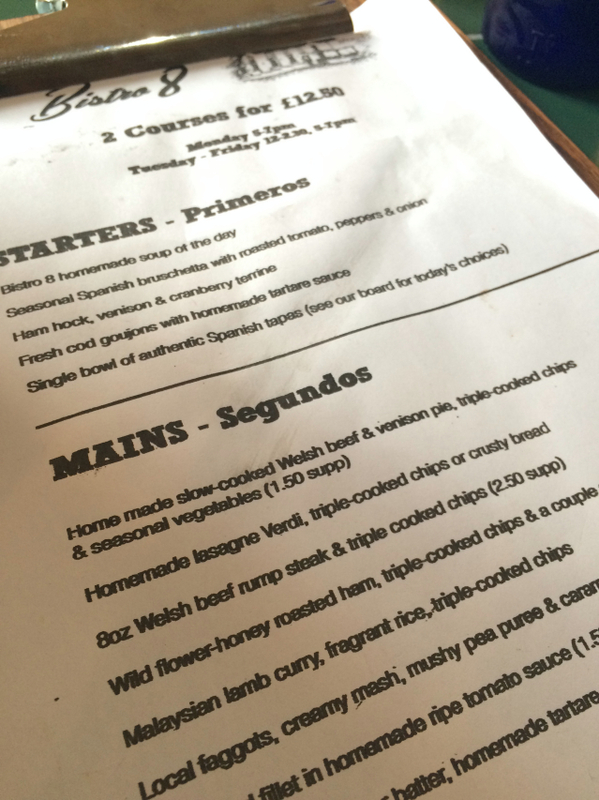 They focus on good hearty, locally sourced food, with a slightly Spanish twist. They offer a tapas menu, a decent wine list (with wine glasses bigger than my head) and the garlic bread is worth a visit on it's own. 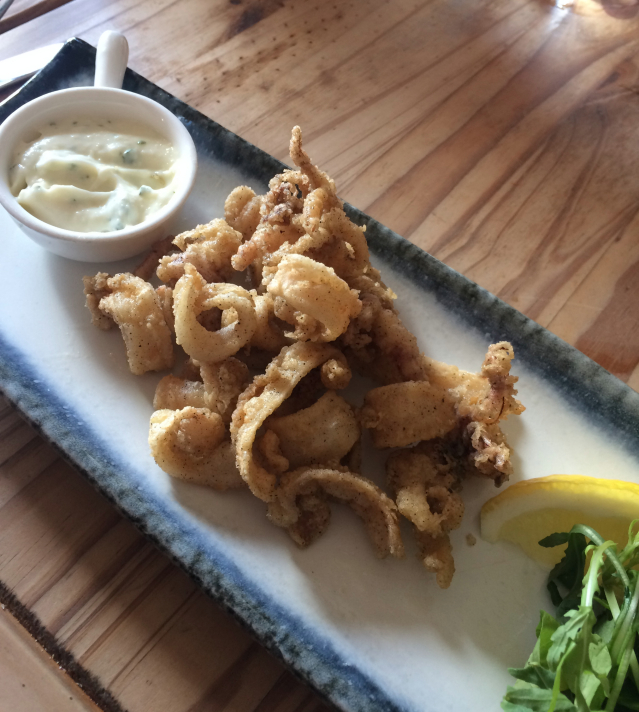 I've not yet had the full Spanish experience here, but they usually offer one of their tapas dishes as a starter, and the calamari has been a top choice each time. Dusted with a thin batter, they're never greasy. I am also a sucker for a thwack of garlic (sorry Mr P) and the aioli dip always hits the spot. 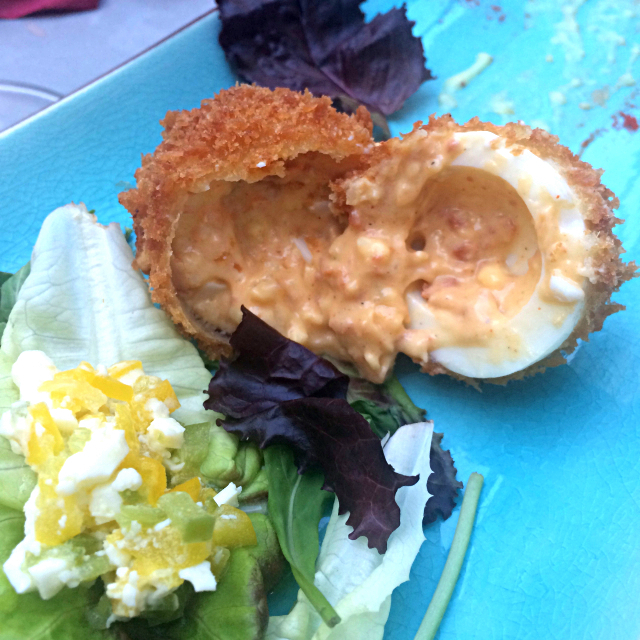 The spicy chorizo 'scotch' egg was lovely and crunchy on the outside, but a little too rich for me on the inside. 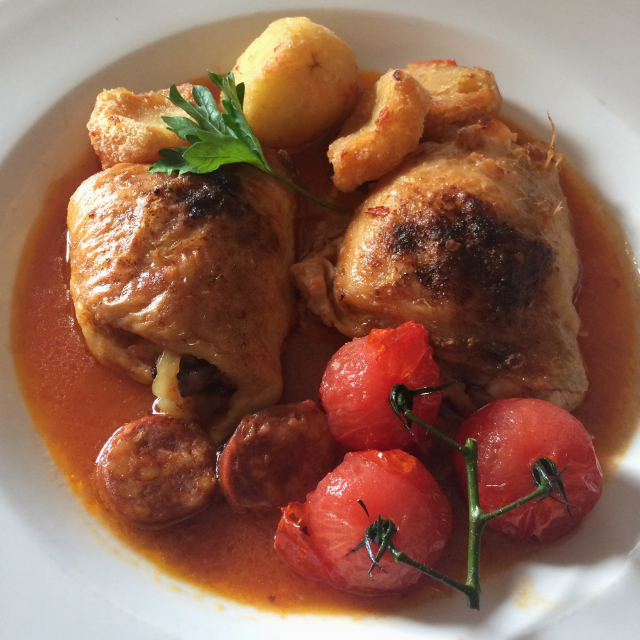 The Spanish chicken thighs were cooked well, with a lovely crunchy skin in a chorizo sauce. Roast potatoes were crispy but soft enough inside to mop up the sauce. However, the sauce lacked a bit of the spice and heat I was expecting. They know how to cook a proper roast though. These roasties were enormous, crunchy and squidgy. Perfect. 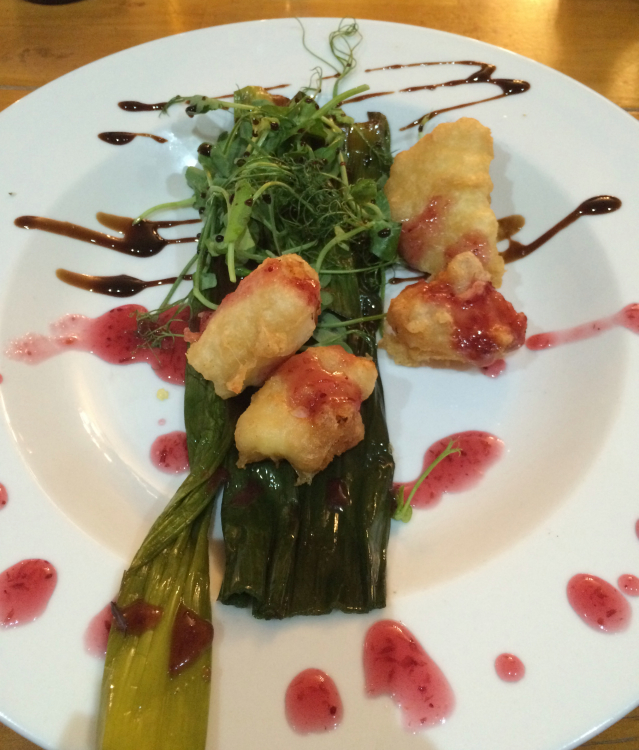 There is a set menu available Mon - Fri (5 - 7pm) which at £12.50 for two courses is excellent value. We always come away feeling outrageously full for a midweek supper. 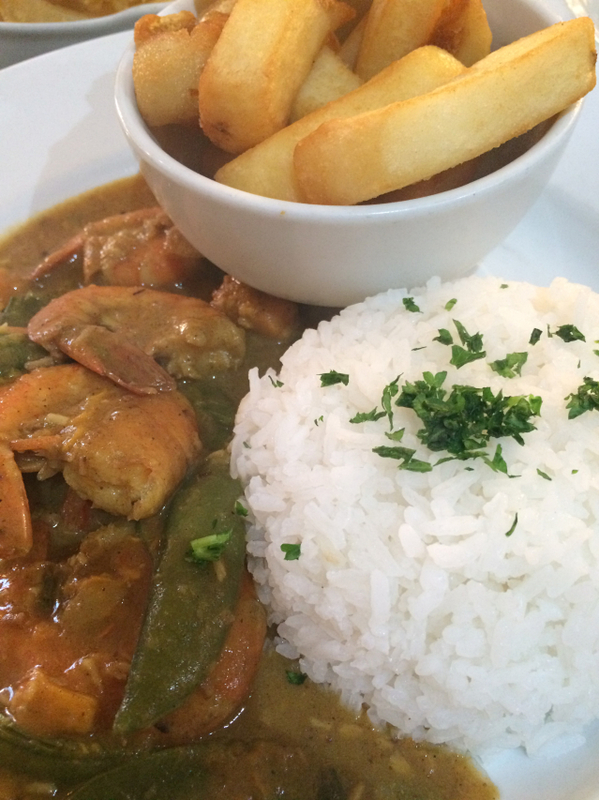 They usually have a few curries on the set menu, and the Malaysian and Thai style curries really pack in the flavour. The only thing that really irks me about the set menu is the number of main courses requiring a supplement. If you're going to have a set menu, then make it just that! Rant over. 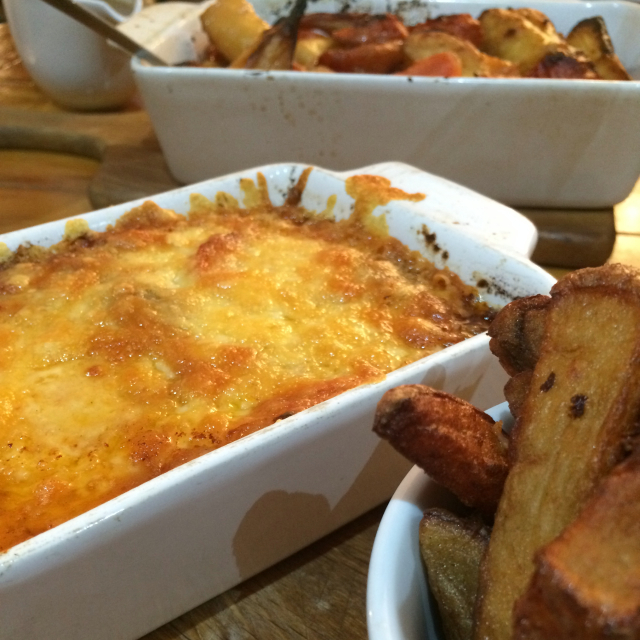 What Bistro 8 does do well is good hearty, home cooked meals just like this lasagne. It was brought to the table still bubbling away and was layered full of vegetables and pasta in a creamy bechamel sauce. We've also visited on special occasions, such as Valentine's Day and Mother's Day, and they do really step it up a notch here. 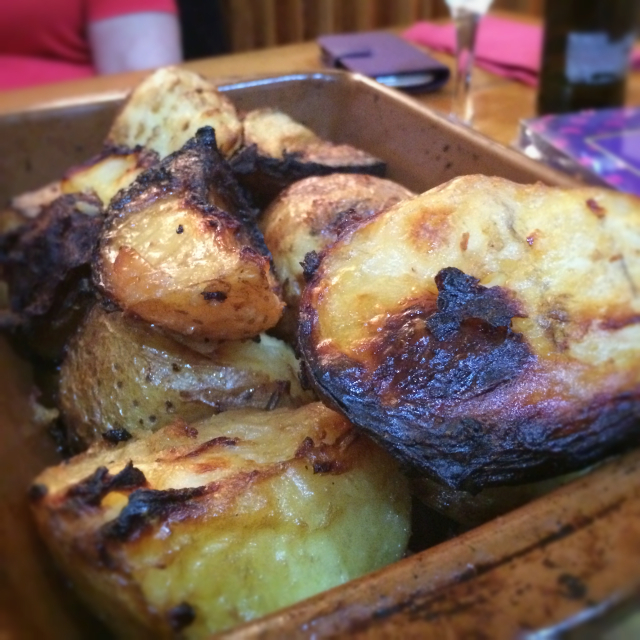 The sizeable roasties above were from a Mother's Day meal, as were these little goats cheese golden nuggets. Our most recent visit was on Valentine's Day, and I normally try to keep my camera locked away over our meals for at least one day of the year, but this dessert was too good not to share. 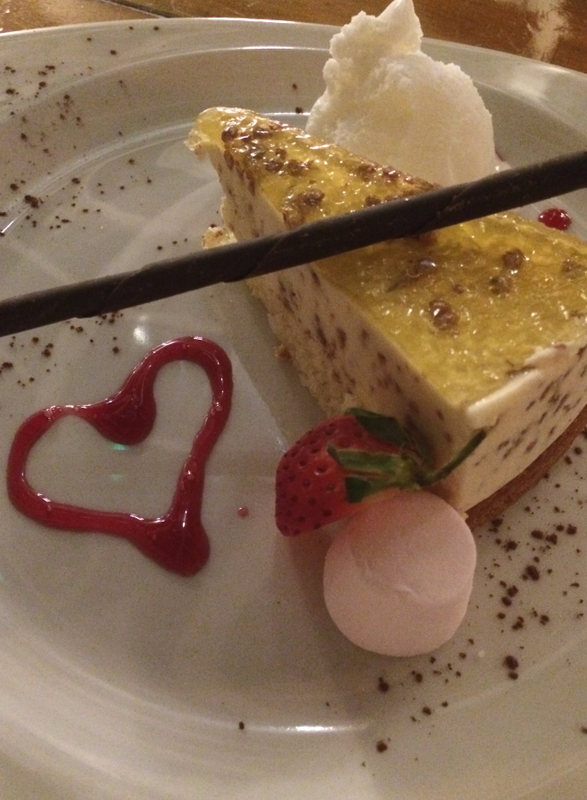 Prosecco and lemon candy cheesecake, with lemon sorbet. The cheesecake was super soft with a spongy base (which I enjoyed even though I'm more a fan of a buttery biscuit base) but the best bit by far was the lemon sorbet. So sharp yet sweet at the same time, it did exactly what it was supposed to do after all the rich food that went before. Bistro 8 manages to make you feel like you're in a top class restaurant, but in your pyjamas. In a good way. The cosy bar downstairs, and the laid back décor with it's slight nods to the Spanish flavour, echoes the food style. It's a place you'd be equally comfortable dressed up, or popping in midweek straight from work for an indulgent midweek dinner. Which I thoroughly urge you to do. I am determined to go back one day and enjoy it true Spanish style, on a lazy sunny day in the beer garden, with a jug of sangria and plate after plate of tapas. I also need to take a picture of the garlic bread, which I was annoyed not to find a picture of in my photo library. If you go, make sure you order it even if it's not strictly on the menu. It's more of a loaf, but it's one of my weaknesses and I just can't stop eating it even when my zipper has burst. Maybe avoid it on a first date though.